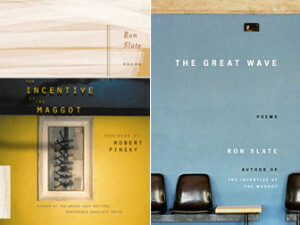 Ron Slate spent more than two decades in the corporate world before returning to poetry and writing an award-winning collection praised by the likes of Robert Pinsky. We talk about his roots in poetry, how those “lost” years weren’t so lost, what it’s like to be the guy who sees things late, and how his life was forever changed the day he saw Buddy Rich’s teeth. Go listen! We also explore why he bailed on his Ph.D., how Ted Leonsis asked him the greatest job interview question ever, what it’s like to get poetry-stalked by Louise Glück, and why he’s trying his hand at fiction. Plus, he reads us a poem from his second book! 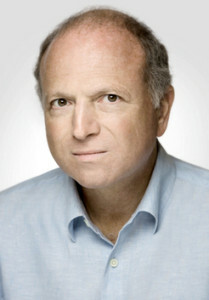 Ron Slate was born in Quincy, Massachusetts in 1950. He earned his Masters degree in creative writing from Stanford University in 1973 and did his doctoral work in American literature at the University of Wisconsin, Madison. He started a poetry magazine, The Chowder Review, in 1973 which was published through 1988. In 1978, he left academia and was hired as a corporate speechwriter, beginning his business career in communications and marketing. From 1994-2001 he was vice president of global communications for EMC Corporation. More recently he was chief operating officer of a biotech/life sciences start-up and co-founded a social network for family caregivers. Since 2007 he has been reviewing poetry and prose at his popular homepage called On the Seawall. He lives in Milton, MA. His poems have appeared in The New Yorker, The Paris Review, Slate, and many other magazines and sites. 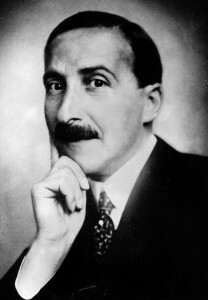 The Incentive of the Maggot , his first book of poems, was published by Houghton Mifflin in 2005. The collection was nominated for the National Book Critics Circle poetry prize and the Lenore Marshall Prize of the Academy of American Poets. The collection won the Breadloaf Writers Conference Bakeless Poetry Prize and the Larry Levis Reading Prize of Virginia Commonwealth University. The Great Wave , his second book, was published by Houghton in April 2009. Credits: This episode’s music is Poet by Sly and the Family Stone. The conversation was recorded in Mr. Slate’s home on a pair of Blue enCORE 200 microphones feeding into a Zoom H4n recorder. The intro and outro were recorded on Blue Yeti USB Microphone . Processing was done in Audacity and Garage Band. Photo of Mr. Slate by me. 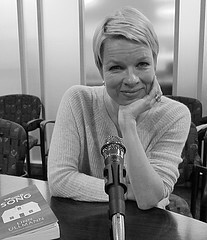 Listen in to part 2 of my conversation with Linn Ullmann about her new novel, The Cold Song, from Other Press ! (Part 1 is over here.) We talk about her writing habits and practices, her favorite Scandinavian authors, how she tweaked the book for its translation into English, and how August Strindberg got revenge on people. We also talk about the lengths she and her husband go to in order to get undisturbed writing time, when she realized she wasn’t going to become a ballerina, and how to convey the Norwegian concept of skavank to some zhlub from New Jersey. 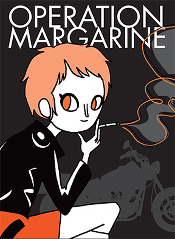 Bonus: I let Linn interview me, and boy does THAT go off the rails! Give it a listen! Credits: This episode’s music is Double Feature by Camera Obscura. The conversation was recorded at an undisclosed hotel in Manhattan on a pair of Blue enCORE 200 microphones , feeding into a Zoom H4n recorder . The intro and outro were recorded on Blue Yeti USB Microphone . Processing was done in Audacity and Garage Band. Photo of Ms. Ullmann by Morgan Norman.